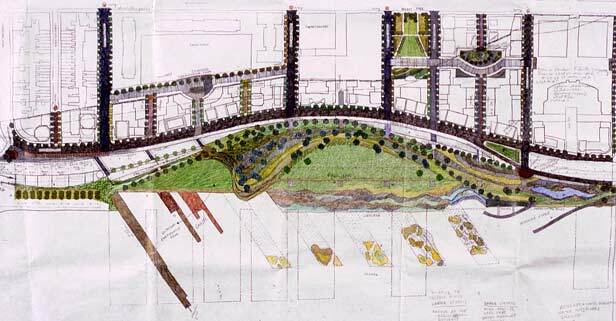 A proposal for a 122-acre park on the site of the old Pennsylvania Central rail yards was developed as a collaboration between artists Mel Chin, Joyce Kozloff, Mary Miss and Fred Wilson with the landscape architect Michael Van Valkenburg and Skidmore, Owings, and Merrill. 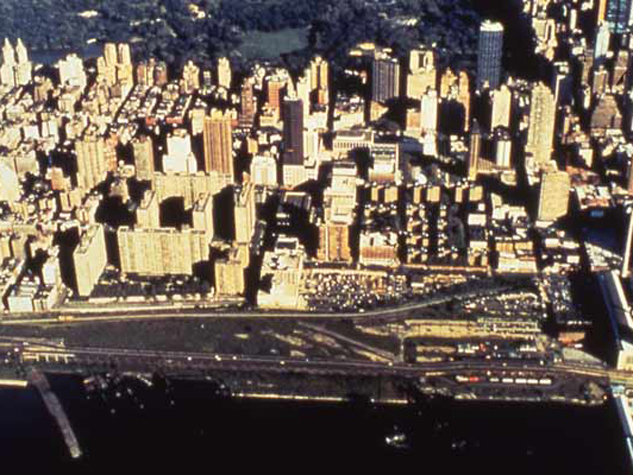 This group was hired by the Riverside South Corporation, a consortium of neighborhood and environmental groups working with developer Donald Trump on the last long piece of open space along the Hudson River in Manhattan which runs from 54th to 72nd Streets. The artists’ interest was to create a self-sustaining park where the processes of cleaning water, rehabilitating soils and reusing existing structures might transform the infrastructure of this old industrial site into a place that brings a new awareness of the connection between the built and natural environment, between our history and the future.